We decided to head to Suwon earlier, as the guys were still sick from the food poisoning so we could just rest for the day. The Samsung company team trains at the Samsung Digital City, almost a mini island in Suwon. I was told there were about 8000 employees in that division there. The gym was inside a big building which also included the lunch hall, some stores and coffee shops, and a fitness area. They have 7 courts there, 2 courts are mattted. On the floor above, they have a small walkway which can be used as a ~150m track. We ended up training there twice a day along side the Samsung team, 10am-12pm and 3pm-5pm, though we had to be there for warm up 30 minutes before. Speaking of warm up, all the Korean teams do a traditional group stretch, where they run through a whole bunch of stretches together while one person counts (slow count to 20). They also stand/sit in a circle facing each other. I find that a lot of their training is very structured, even in warm ups, running, etc and though it seems a little military-like, it's also seems very 'team-building', let's say. Back home, everyone just does their own thing, whereas here, it seems everyone does everything the same and together. Talk about team bonding! Anyway, let's introduce some of the Samsung Team! Apparently, how it works in Korea is that teams are quite competitive against each other, so I would have to say the girls on the Samsung team are rivals against the Dae Kyo team in Seoul, as much as Kim's University in Iksan where we are headed next, are rivals against the Sport University in Seoul (KNSU). However, I'm sure everyone is friendly enough, as the best players have to work together on the National Team anyway. But let's get back to the Samsung team! Surprisingly, both of Kim's Olympic Gold medal partners are coaching for Samsung, including Gil Young Ah (1996 Olympic XD Partner) and of course, Ha Tae Kwon (2004 Olympic MD partner). Also, Lee Hyo Jung (2010 Asia Games XD Winner, 2008 Olympics XD Winner and WD Finalist) is there to help coach and sparr. I don't know too many of the players, but I did recognize a few: Hwang Hye Youn and Jang Su Young, both WS, and Cho Gun Woo, MD. However all the players are very strong, as Samsung is one of the most prestigious company teams, as they staff Lee Yong Dae and Jung Jae Sung! Unfortunately Lee and Jung are out competing in Europe, but maybe I'll get to see them another time! Training at Samsung Company Team! Shopping was a lot easier, as our motel is in a more busy area. There are a lot of restaurants around and little stores, but most importantly, they have a giant department store (Home Plus) which kind of functions like a Walmart, except it's 4 or 5 floors of stuff. Each floor has it's own specialty, with a floor dedicated to groceries, one to other stuff (e.g. clothing, stationary, electronics), a floor for higher end clothing and books, a food court floor, and also multiple floors for parking. The prices are very reasonable and we ended up shopping and eating there a few times. They also sell cheap socks with cute designs on them which are quite popular back home (e.g. vancouver), but probably sell for a premium (~$1 in Korea, maybe $10 in Vancouver?). Tonkatsu! Fried pork, fried fish, and a beef patty with rice and salad! I don't know what's worse: Men's Doubles after lunch, or knowing your opponents are Kim and Ha? Either I'm drunk, or the lady parked on the side walk... okay, I'm NOT drunk. We took the next day off, thankfully I drank like, 4 Litres of water to flush out the alcohol and prevent any major hangovers, so I was okay. I don't normally drink even close to what I had that night, and I hope I don't have to. Unfortunately, I'm still in Korea for a while... so... uh oh... Anyway, that's pretty much the scope of our Suwon adventure with the Samsung team, so be sure to look out for Part 3: Ik-san and the Won Kwang University Team! This is my official blog! Websites are more professional, but blogs connect people better, so that's why I'm doing the latter. 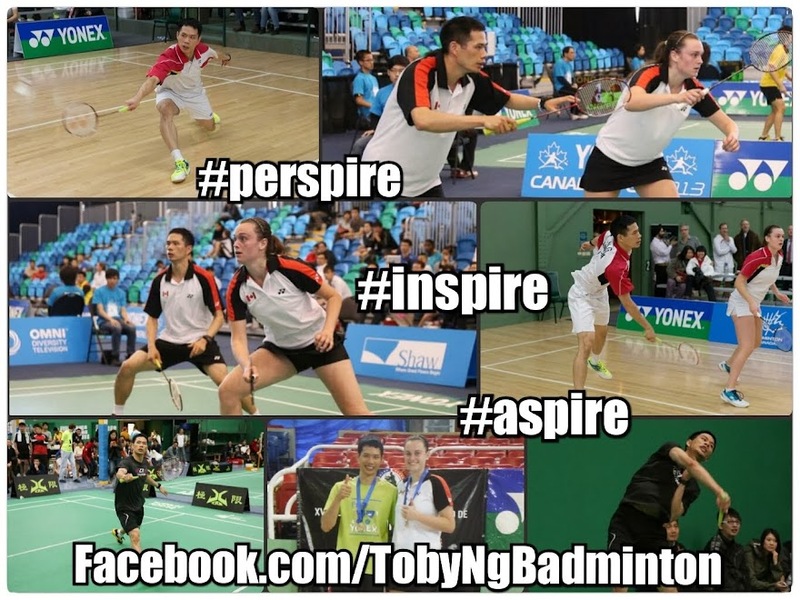 Copyright 2014 - Toby Ng. Simple theme. Powered by Blogger.